Degenerative joint disease can be extremely debilitating and is becoming increasingly more common. Read on to learn everything you need to know about degenerative joint disease. 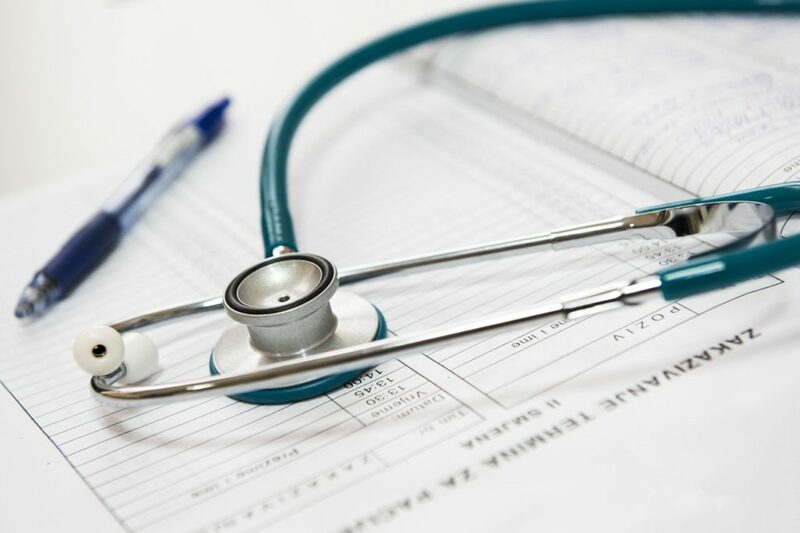 If you or someone you know has been diagnosed with degenerative joint disease (DJD) you are not alone, it is one of the most common ailments associated with aging. DJD is more commonly known as osteoarthritis (OA). It occurs over time as regular “wear and tear” begins to cause a breakdown of the soft, cushioning cartilage that lines your joints. As the erosion of this tissue continues, the surfaces of the bones within the joint begin to put more pressure on each other. This causes bone spurs to develop – a characteristic of advanced osteoarthritis. As the disease progresses pain and stiffness increase causing reduced mobility and function of the joint. Unfortunately there is no cure for degenerative joint disease, and most of the treatments available focus on managing symptoms and slowing the rate of progression. Degenerative joint disease can occur in almost any joint, however it frequently develops in joints that often experience high impact and loading. The knee, hip, lower back and hand are commonly affected with the knee joint being the most common site for the development osteoarthritis. Pain: Movements that put pressure on the joint, or occur near range of motion extremes will cause inflammation resulting in painful discomfort. Stiffness: Periodic feelings of pain accompanied by abnormal mobility loss – often in the morning. Loss of Mobility: Decreased joint range of motion both actively and passively. Loss of Stability: Feelings of instability when performing tasks that require balance and strength. Crepitus: An audible grinding noise that occurs when bending or putting pressure on the joint. 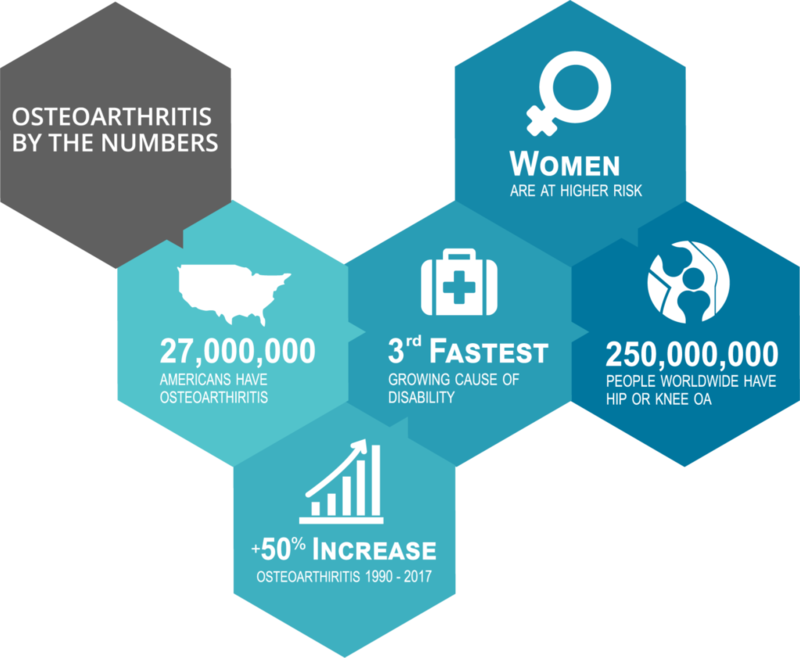 Osteoarthritis is diagnosed at a much higher rate in older individuals with the risk of occurrence increasing dramatically for the those over the age of 604. While there are many possible causes of chronic knee pain, diagnosis of degenerative joint disease is typically done with x-ray imaging. Close examination of the imaging allows physicians to classify the severity of the disease based on the amount of cartilage degradation, size and frequency of bone spurs and level of sclerosis with the affected bones. For example the Kellgren and Lawrence Osteoarthritis Classification is used to assign knee and hip joints grade between 0 to 4, with high scores indicating advanced progression of the disease5. Those suffering from degenerative joint disease can expect a slow and steady decline in function. Initially symptoms are infrequent and manageable with slight alterations to activity levels. Overtime increasing levels of inflammation within the joint cause pain with movement which in turn reduces mobility, muscular strength and balance. This often becomes a vicious cycle as the pain and reduced function encourages sedentary behaviour which itself accelerates further muscle wasting and weight gain – both risk factors for degenerative joint disease4. There are variety of risk factors for osteoarthritis some of which can be greatly reduced. Excessive Joint Stress: Those who place large demands on their joints can increase the rate of degeneration. A 1-lb (0.45 kg) increase in body weight equals approximately 2- 4 lbs (0.9 to 1.8 kg) of pressure on the knees. Participation in physically demanding occupations and sports may also accelerate cartilage loss6-8. Previous Joint Injury: Previous damage to the cartilage cushioning the joints can accelerate joint degeneration9. Genetic Factors: At a cellular level your DNA influences the capacity of your joint’s tissues to heal themselves10. Currently, no cure exists for degenerative joint disease – treatments are usually palliative or preventative. Management of the condition typically involves a combination of painkilling drugs, dietary changes, and exercise. In extreme cases for knee and hip osteoarthritis, full joint replacement surgery is commonly used to bring back some functionality to the joint The Osteoarthritis Research Society International (OARSI) is considered to be foremost authority on treatment for osteoarthritis. They continually publish a heavily researched overview of the best treatments currently available for osteoarthritis sufferers. For a complete guide of treatment options click here. Osteoarthritis Research Society International. Osteoarthritis: A Serious Disease (2016). Anderson, A. S., & Loeser, R. F. (2010). Why is osteoarthritis an age-related disease?. Best practice & research Clinical rheumatology, 24(1), 15-26. Kohn, M. D., Sassoon, A. A., & Fernando, N. D. (2016). Classifications in brief: Kellgren-Lawrence classification of osteoarthritis. Ozdemir F, Tukenmez O, Kokino S, Turan FN. How do marginal osteophytes, joint space narrowing and range of motion affect each other in patients with knee osteoarthritis. Rheumatol Int 2006;26:516–22. Muraki S, Oka H, Akune T, En-yo Y, Yoshida M, Nakamura K, et al. Association of occupational activity with joint space narrowing and osteophytosis in the medial compartment of the knee: the ROAD study (OAC5914R2). Osteoarthritis Cartilage 2011;19:840–6. Kujala, U. M., Kaprio, J., & Sarno, S. (1994). Osteoarthritis of weight bearing joints of lower limbs in former elite male athletes. Bmj, 308(6923), 231-234. Michael, J. W. P., Schlüter-Brust, K. U., & Eysel, P. (2010). The epidemiology, etiology, diagnosis, and treatment of osteoarthritis of the knee. Deutsches Arzteblatt International, 107(9), 152. Yamada Y, Okuizumi H, Miyauchi A, Takagi Y, Ikeda K, Harada A. Association of transforming growth factor beta1 genotype with spinal osteophytosis in Japanese women. Arthritis Rheum 2000;43:452–60.